Travis Scott’s third album, ASTROWORLD, firmly cements himself in the pantheon of today’s rap superstars with a project where he does everything expected of him and then adds a little more creative flair on top. Of course, nobody is looking to Scott for a work of art, and he delivers fully on a fun and enjoyable summer rap album. While it may not be his best album yet, it’s certainly his most risky, and comes with a truly impressive selection of guests that elevate Scott’s performance to another level entirely. It’s definitely a huge step up from the mundane and disinterested Birds In The Trap Sing McKnight (2016), and it’s great to see what Scott can produce when he slows down his speedy release schedule for the first time. As soon as that fuzzy bassline hits for the first time on opening track “STARGAZING”, we’ve stepped into Scott’s sonic conceptualization of his childhood favourite Houston theme park, since demolished. It’s a frequently surprising and always psychedelic, a magical dreamscape of a place. We hear the sound of a rollercoaster about to drop as the beat completely switches up to this frantic rising synthline as Scott explains the inspiration behind the dedication to the theme park with an expressive, capable flow. The beat switch is a great tactic for Scott, as it shows up again on standout “SICKO MODE”, where Scott and Drake essentially just play around on various incredible instrumentals from Hit-Boy and Tay Keith – Drake brings the same kind of flow he does on Scorpion track “Nonstop”, but the fuller instrumental here, the bass hitting that much harder, is so much more accommodating to him. He actually sounds like he’s having fun! Scott’s deep, slightly melodic voice manages to find the catchiest flow it possibly can on the middle section as well, but this is Drake’s song, and it’s surprisingly all the better for it. The experimentation continues on “STOP TRYING TO BE GOD”, a complete artistic deviation and triumph for Scott that sees him pull from disparate musical worlds to create something completely unique. The pleasant, breathy hook where the title is repeated is backed up by ethereal hums from Kid Cudi, Scott’s Auto-Tuned singing voice in complete command of the slower instrumental – as the track goes on, we get (seriously) some dynamic harmonica solos from STEVIE WONDER, and a final harmonized section from James Blake that’s the most beautiful moment on this whole project. Of course, Scott has no shortage of blistering club tracks either. His quicker flow on moody trap cut “NO BYSTANDERS”, featuring an incendiary hook from newcomer Sheck Wes, is the greatest technical showcase here, and I love how well it complements that quickly oscillating synth noise that comes in in the second half of his verses. “5% TINT” might be my favourite instrumental here, an off-kilter piano loop that sounds like something out of a spooky children’s show, while “CAN’T SAY” is a classic anthemic Scott hook in the vein of a “Goosebumps” or “Antidote”. The Weeknd appears for a feature on “WAKE UP”, framed by a lazy acoustic guitar sample and trap hi-hats as the two get lost in lustful thoughts as only they do, the two trading verses cleanly. Scott’s genre-hopping is pretty impressive, even if not everything sticks completely. Across the tracklisting, he additionally pays homage to the legendary DJ Screw on “RIP SCREW” with the chopped and screwed, calmer style of R&B-influenced hip-hop he helped pioneer, brings jazz bassist Thundercat and John Mayer together for the wildly spacey and psychedelic “ASTROTHUNDER” and recruits indie band Tame Impala to produce the shimmering interlude “SKELETONS”, which also features vocals from The Weeknd and Pharrell. While none of these tracks are the most structurally cohesive, as I personally am usually looking for something more present from Scott, I seriously have to admire that he managed to pull tracks like these off to some degree of success. Even the closing track, “COFFEE BEAN”, sees Scott’s voice at his all-time clearest, taking the more subdued route of a storyteller rapper for the first time as he speaks out about concerns he had with dating Kylie Jenner as a black man thrust so fully into the private eye, even mentioning that her family had advised against it. As a whole, however, ASTROWORLD suffers from the same curse most mainstream rap albums do these days, decreasing noticeably in quality as the album continues and extends to 17 tracks in length. Most of the songs in the back half don’t possess the same degree of experimentation that each one of the preceding tracks do, sounding like relics of Scott’s past work just as most of Birds did. The lack of polish is evident on a track like “YOSEMITE”, which features some inexcusable mixing problems that undermine a pretty catchy guitar instrumental, while the Migos-featuring “WHO? WHAT!” and “HOUSTONFORNICATION” don’t have the immediately catchy hooks that I usually expect from a Scott track, sounding like Scott running out of ideas and opting for streaming numbers instead of the best album he could make. The existence of “BUTTERFLY EFFECT”, a mediocre Auto-Tuned trap cut which was released in May 2017, demonstrates how much less thought went into the back half of the tracklist. 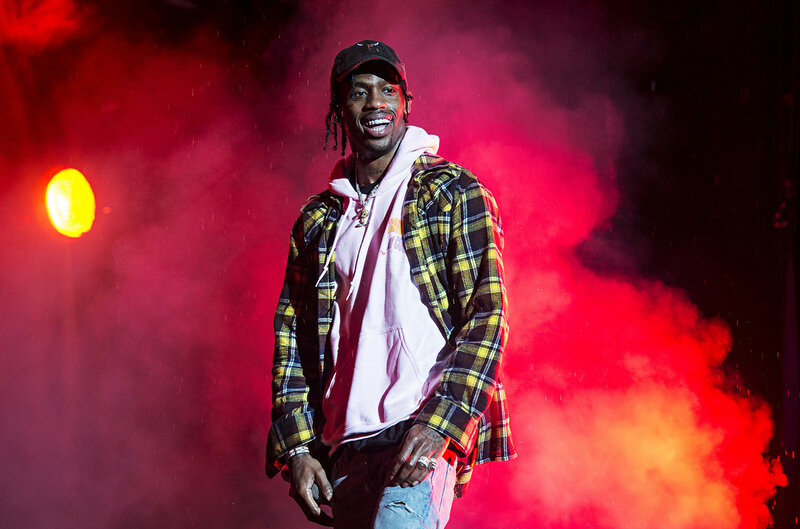 Ultimately, Scott succeeds at painting a vivid picture of the park he loved so much, each of these tracks representing a different ride – “CAROUSEL”, “SICKO MODE” the rollercoaster, “5% TINT” the haunted house … ASTROWORLD represents a similar kind of exhilarating, fleeting joy, a little cheap, but that’s what we all signed up for and expected anyway. I certainly had a great summer day in Astroworld.